Given the state of the Bay Area today and the 24-year forecast of jobs, households and transportation revenues, how will the region get from where it is now to where it needs to be in the future? MTC and ABAG developed a variety of land use and transportation scenarios that distributed the total amount of expected growth across the region. These scenarios were evaluated against adopted performance targets to measure how well they addressed regional goals, including climate protection, transportation system effectiveness, economic vitality and equitable access. Based upon performance and feedback, MTC and ABAG developed and adopted a Final Preferred Scenario. This scenario provided both a regional pattern of household and employment growth by the year 2040 and a corresponding transportation investment strategy. Plan Bay Area 2040 largely reflects the foundation and regional growth pattern established in the original Plan Bay Area. Plan Bay Area 2040’s core strategy is “focused growth” in existing communities along the existing transportation network. This strategy allows the best “bang for the buck” in achieving key regional economic, environmental and equity goals: It builds upon existing community characteristics, efficiently leverages existing infrastructure and mitigates impacts on areas with less development. Key to implementing the focused growth strategy are Priority Development Areas (PDAs) and Priority Conservation Areas (PCAs) identified, recommended and approved by local governments. Priority Development Areas (PDAs) - Plan Bay Area 2040 focuses growth and development in nearly 200 PDAs. These existing neighborhoods are served by public transit and have been identified as appropriate for additional, compact development. Priority Conservation Areas (PCAs) - Plan Bay Area 2040 helps preserve over 100 regionally significant open spaces which have a broad consensus for long-term protection but which face nearer-term development pressures. PCAs and PDAs comple­ment one another: By promoting compact development in established communities with high-quality transportation access, there is less development pressure on the region’s vast and varied open spaces and agricultural lands. Housing near the Milpitas BART station provides a gateway to the workers of Silicon Valley. Oakland is the third largest city in the Bay Area. 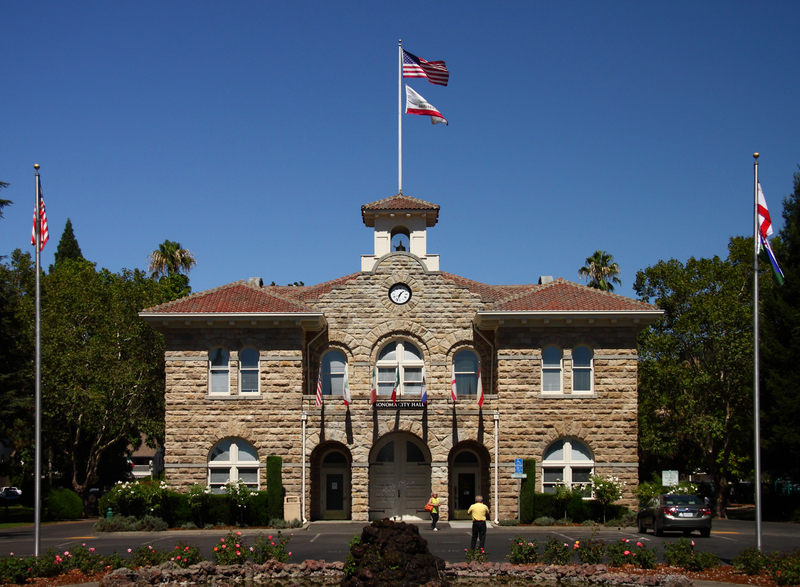 Napa is a renowned tourist destination in the Bay Area. Given existing real estate market conditions, land use controls, and infrastructure needs, many PDAs may not be able to accommodate forecasted growth and may require additional policy interventions to increase their development potential. As a result, MTC and ABAG modeled a range of policy and investment strategies in Plan Bay Area 2040 to increase development potential in PDAs and influence the overall regional growth pattern, as shown in Table 4.1. These policies can help motivate land use and support the success of a focused growth strategy in the locally identified PDAs that already house much of the Bay Area’s existing development. TABLE 4.1 Key land use assumptions. These measures are not prescriptive, and there are many potential public policy options that could help the Bay Area attain its adopted targets. The strategies presented here are simply illustrations of the significant steps it would take to accommodate expected future growth within existing communities while striving toward the region’s 2040 economic, environmental and equity goals. Growth can, of course, bring challenges such as limited water resources, funding for schools, and traffic congestion, in addition to benefits. Working with jurisdictions to appropriately balance different interests while implementing these or other similar policies will be key to achieving the land use goals of Plan Bay Area 2040. For more information about Plan Bay Area 2040’s land use model and assumptions, see the Land Use Modeling Report. It is important to emphasize that the region’s cities and counties retain local land use authority and that local jurisdictions will continue to determine where future development occurs. Plan Bay Area 2040 is supported through implementation efforts such as neighborhood- level planning grants for PDAs and local technical assistance. The plan does not mandate any changes to local zoning rules, general plans or processes for reviewing projects; nor is the plan an enforceable direct or indirect cap on development locations or targets in the region. As is the case across California, the Bay Area’s cities, towns and counties maintain control of all decisions to adopt plans and to permit or deny development projects. Plan Bay Area 2040 also does not establish new state-mandated Regional Housing Needs Allocation (RHNA) numbers for any jurisdiction. RHNA operates on an eight-year cycle, with the next iteration not due until the next update to the plan in 2021. Because RHNA numbers are not at stake this cycle, MTC and ABAG have characterized this update to the Bay Area’s long-range plan as limited and focused. Overall, the regional pattern of households and employment in 2040 is not significantly different from the pattern observed in 2010. Plan Bay Area 2040 concentrates both household and employment growth in the “Big 3 Cities” of San Jose, San Francisco and Oakland, as well as the east and west Bayside corridors along the region’s core transit network. MAP 4.1 Bay Area subregions. By 2040, the Big 3 Cities and Bayside subregions will contain 72 percent of the Bay Area’s total households and 77 percent of the region’s total jobs, which is a slightly higher concentration of households and jobs compared to 2010. As shown in Tables 4.2 and 4.3, Big 3 Cities will see about 46 percent of the region’s household growth and about 44 percent of the region’s job growth, while Bayside communities will see about 33 percent of the region’s household growth and 40 percent of projected employment growth. TABLE 4.2	Household growth by Bay Area subregion. TABLE 4.3	Employment growth by Bay Area subregion. Inland, Coastal and Delta areas will see comparatively less growth. The concentration of housing and jobs in PDAs also will remain significant, with 77 percent of the Bay Area’s household growth and 55 percent of its job growth occurring in PDAs. In terms of employment, Plan Bay Area 2040 anticipates a modest shift from the growth pattern adopted in the original Plan Bay Area and incorporates the substantial employment growth experienced since 2010 in Bayside communities and in the cities of San Jose, San Francisco and Oakland. These areas contain the majority of the Bay Area’s commercial space, both now and in the future. As shown in Maps 4.2 and 4.3, 83 percent of all household and employment growth will be in four of the Bay Area’s nine counties: Santa Clara, Alameda, San Francisco and Contra Costa. On both an absolute and percentage basis, the five remaining counties will see modest growth over the next 24 years. MAP 4.2 Household growth by county. MAP 4.3 Employment growth by county. Emphasizing higher levels of growth in PDAs and building upon what already exists means that many neighborhoods, particularly established single-family home neighborhoods, will see minimal change in the coming decades. Approximately 70 percent of projected household growth will be concentrated in just 15 Bay Area cities, as will 74 percent of employment growth. Besides the Big 3 Cities, other cities such as Richmond, Emeryville, Concord and Mountain View will also serve as key locations for the Bay Area’s future households and jobs. For a complete list of household and employment numbers by jurisdiction, please see the Land Use Modeling Report. The concentrated household and employment pattern presented here further underscores the need for a Bay Area transportation system that is efficient and well-maintained. Otherwise, a focused growth strategy cannot succeed. Plan Bay Area 2040 develops a blueprint for short- term and long-term transportation investments to support the plan’s focused growth strategy. Investment priorities for the next 24 years reflect a primary commitment to “Fix It First,” a key emphasis area in the original Plan Bay Area as well. As shown in Table 4.4, approximately 90 percent of Plan Bay Area 2040’s investments focus on operating, maintaining and modernizing the existing transportation system. Plan Bay Area 2040 also directs almost two-thirds of future funding to investments in public transit, mostly to ensure that transit operators can sustain existing service levels through 2040. TABLE 4.4 Plan Bay Area 2040 funding distribution. FIGURE 4.1 Plan Bay Area 2040 funding distribution. Operate + Maintain: This strategy includes projects that replace transit assets, pave local streets and state highways, and operate the transit system. Modernize: This strategy includes projects that improve the existing system without significantly increasing the geographical extent of the infrastructure. Electrifying Caltrain and portions of the express lane network are two major investments in this category. Expand: This strategy includes projects that extend fixed-guideway rail service or add lanes to roadways. 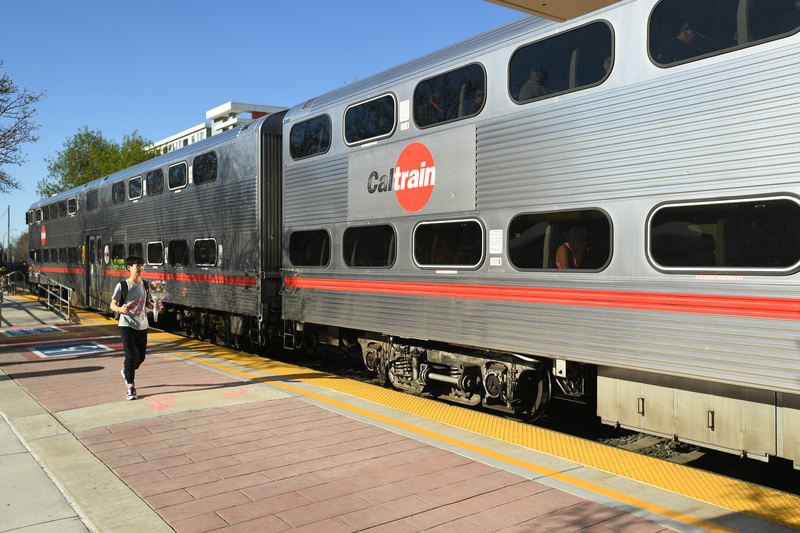 Extending Caltrain to downtown San Francisco and BART into Silicon Valley, as well as implementing express lanes on U.S. 101 in San Mateo and Santa Clara counties, are major investments in this category. Debt Service + Cost Contingency: This includes on-going debt service and financing costs as well as a cost contingency for expansion projects. The allocation of committed funds supports growth in the Bay Area’s established communities, directing approximately 72 percent of these funds to operate and maintain existing infrastructure, as shown in Figure 4.1. Table 4.5 lists the 10 highest-cost Plan Bay Area 2040 modernization and expansion investments. TABLE 4.5 Top 10 Plan Bay Area 2040 investments. For more information about Plan Bay Area 2040’s transportation investment strategy, see the Investment Strategy Report. The Environmental Impact Report (EIR) for Plan Bay Area 2040 discloses potential environmental impacts and recommended mitigation measures of implementing the plan. The EIR includes a Mitigation, Monitoring, and Reporting Program that identifies who will be responsible for implementing identified mitigation measures and the required timing for implementation. The EIR addresses impacts associated with projected growth and impacts associated with the projected land use and assumed transportation projects. Where a significant or potentially significant impact may occur, mitigation measures are provided. Significant unavoidable impacts are those that cannot be mitigated to a less-than-significant level. To the extent that an individual project adopts and implements all feasible mitigation measures described for each significant impact, many of the impacts listed would be reduced to a less than-significant level. However, neither MTC nor ABAG can require local implementing agencies to adopt most of the mitigation measures, and it is ultimately the responsibility of a lead agency for each project to determine and adopt mitigation. Therefore, several impacts have been identified as significant and unavoidable for purposes of the program level review. Projects taking advantage of CEQA streamlining provisions of SB 375 must apply the mitigation measures described in the EIR as necessary and feasible to address site-specific conditions. For more information on environmental impacts and mitigation measures in Plan Bay Area 2040, review the Draft Environmental Impact Report and Draft EIR Appendices and the Final Environmental Impact Report and Final EIR Appendices. Passengers board an AC Transit bus. Plan Bay Area 2040 directs the vast majority of funding to maintain the assets and infrastructure of the existing transportation system. Plan Bay Area 2040 fully funds transit operating needs for existing transit services while also funding the majority of remaining high-priority transit capital needs (mostly replacing vehicles and fixed guideway infrastructure such as rail tracks and power systems). When evaluated for cost- effectiveness and support for the plan’s performance targets, maintaining transit capital assets was one of the Bay Area’s highest performing investments, exhibiting high cost-effectiveness relative to most other transit expansion and highway projects. For this reason, the plan directs almost 30 percent of discretionary funding to paying down the region’s transit maintenance backlog. Despite this investment, a remaining need of almost $15 billion remains as shown in Table 4.6, most of which is needed to replace non-vehicle assets for BART and Muni. TABLE 4.6 Plan Bay Area 2040 transit operating and maintenance strategy. The next largest regional discretionary investment is for operations and maintenance of the Bay Area’s local streets and roads. Between committed sources and future sources such as a potential regional gas tax, Plan Bay Area 2040 directs over $35 billion for local streets and roads, which prioritizes operations expenses and costs to improve pavement condition. This still leaves a gap of almost $8 billion to maintain existing pavement as well as non-pavement assets like signals, storm drains and sidewalks. Consequently, the regional pavement condition index, a measure of the quality of pavement on a scale from 0 (failed) to 100 (brand-new), decreases from 66 in 2015 to 62 in 2040. Funding for maintenance on state highways and bridges is included in Plan Bay Area 2040 mostly as committed funding, since MTC does not influence where this money is spent. Plan Bay Area 2040 assumes a two-dollar toll increase on all state-owned bridges, with $1 added in 2019 and another $1 added in 2024. Some of this future discretionary funding would be used for additional maintenance to the Bay Area’s bridges. Included in cost projections for operating and maintaining the Bay Area’s existing transportation system is a reserve for future cost increases, financing costs and debt service. Road repair is a major infrastructure challenge for the Bay Area. The Bay Area’s transportation infrastructure, mostly built in the 20th century, will require significant upgrading to handle the travel volumes and travel needs of the 21st century. Modernization is critical to expand capacity on crowded BART lines, improve speeds on heavily used bus lines, add safe bicycle facilities on busy roads, install new technologies to smooth traffic flow and redesign interchanges to handle greater traffic volumes. Plan Bay Area 2040 invests 16 percent of total revenue and 26 percent of discretionary revenue in this category, which includes cost-effective projects like freeway operation strategies, San Francisco’s two congestion pricing projects and a number of bus rapid transit (BRT) lines. The plan also directs funding for pilot projects related to the evolving technology landscape for transportation, which could increase efficiency and safety across the region’s freeways and arterials. These pilot projects include testing vehicle- to-vehicle and vehicle-to-infrastructure technology. In addition to investments in transit capital maintenance, Plan Bay Area 2040 will replace transit infrastructure through modernization projects that replace existing assets with infrastructure that supports either additional or more reliable service. Two examples of this type of project are Caltrain Electrification and BART Transbay Core Capacity projects. These projects replace vehicles and control systems with infrastructure that increases capacity and enables more frequent and reliable operations. This category also includes strategic investments in transit efficiency throughout the Bay Area. These efficiency projects yield significant benefits due to planned housing growth in PDAs along light rail corridors in Santa Clara County as well as the growth of job centers in Sonoma County. Project examples include bus rapid transit along El Camino Real and increased service for Santa Rosa CityBus. Additional bus rapid transit projects include Geary BRT and San Pablo BRT, which would serve densifying corridors in San Francisco and along the I-80 corridor in the East Bay, respectively. Transit is a cornerstone of sustainability in the Bay Area. The Bay Area consistently ranks as one of the most congested metropolitan areas in the nation. With today’s mature system of roadways and increased demands on available financial resources, it is no longer possible – if it ever was – for the region to build its way out of congestion. Instead, Plan Bay Area 2040 invests in ways to operate existing highways and arterials more efficiently. Plan Bay Area 2040 invests $17 billion over the next 24 years to support projects and programs that will boost system efficiency through technology and bottleneck relief. One such program is Bay Bridge Forward, which would implement a suite of strategies that improve the speed, reliability, and person throughput of roadways and transit service and prepare the Bay Area for technological advancements in transportation. Critical to these strategies will be the modernization of infrastructure used to monitor travel conditions and facilitate responses to freeway incidents. In addition, efforts like San Francisco’s cordon pricing program – with projects such as the Treasure Island and downtown San Francisco cordons – as well as the Regional Express Lane Network will leverage revenues generated from pricing to improve the existing system’s efficiency while providing alternatives to driving. The following maps show selected priority transit and road projects from the Plan Bay Area 2040 investment strategy. These projects reflect a mix of committed and discretionary investments, with local, state and federal investments all in support. The maps show key regional transit projects, local transit projects, highway and arterial projects, and pricing projects. For more information on these and other Plan Bay Area 2040-funded projects and programs, please see the Plan Bay Area 2040 Project Database. The Bay Area is becoming more familiar with express lanes as they become more widespread along Interstates 580 and 680, as well as state Route 237. Express lanes are carpool lanes that also give solo drivers the choice to pay a toll for a more reliable trip. Carpools and buses can still use the lanes free of charge. Express lanes are a high-tech way to take advantage of available capacity in under-used carpool lanes and to improve traffic management and reliability on well-utilized carpool lanes. With toll revenue, express lanes can offer enhanced enforcement to catch cheaters, access control to manage merging and weaving, and more cameras and sensors to quickly identify and respond to incidents. Plan Bay Area 2040 continues funding for completing the highest priority express lane segments. Most involve conversion of existing carpool lanes, while a smaller share would widen freeways to create new express lanes and to close gaps in the Bay Area’s existing carpool lane network. Express lane toll revenue would first fund the operations and maintenance of the lanes. Plan Bay Area 2040 invests $450 million of discretionary revenue to complete the financing package for implementing the new express lanes. Bay Area transportation agencies are developing a 550-mile network of Bay Area Express Lanes that will be completed in 2035. Plan Bay Area 2040 is the Bay Area’s first regional plan with dedicated discretionary revenue allocated toward goods movement to implement the recommendations of the Regional Goods Movement Plan. This investment strategy includes significant funding for increasing efficiency at the Port of Oakland by reducing rail-truck conflicts and improving bottlenecks at interchanges along the truck freight network. Additionally, the investment strategy carves out $350 million for a clean fuel and impact-reduction program, which was a major element of the Regional Goods Movement Plan. Modernizing Infrastructure: Projects to improve operations and increase rail access at the Port of Oakland, including 7th Street Grade Separation, Outer Harbor Intermodal Terminal and Oakland Army Base transportation components; highway projects and interchange improvements along freight corridors such as I-880, I-80, U.S. 101, I-580, I-680, and state Route 4. Clean Fuels and Impact Reduction: Future program for implementing the recommendations of the Freight Emissions Reduction Action Plan and developing programs for environmental and community impact reduction in neighborhoods with high levels of freight activity. Smart Deliveries and Operations: Future program for deploying communications infrastructure to increase active traffic management along freight corridors and to/from the Port of Oakland. A freight yard in Fairfield, Solano County. TABLE 4.7 Plan Bay Area 2040 goods movement investments. In addition to significant transit and roadway performance investments to encourage focused growth, Plan Bay Area 2040 directs funding to neighborhood active transportation and complete streets projects, climate initiatives, lifeline transportation and access initiatives, safety programs, and PDA planning. These programs directly support major Plan Bay Area 2040 goals by assisting Priority Development Areas, emphasizing connections to high-quality transit and reducing greenhouse gas emissions. As in the original Plan Bay Area, this plan makes a significant contribution to increasing the convenience and safety of walking and bicycling. Plan Bay Area 2040 continues to provide flexibility for congestion management agencies to fund eligible projects under the One Bay Area Grant (OBAG) program, including transportation infrastructure that supports infill development such as bicycle and pedestrian improvements, local street repair, and planning activities, while also providing specific funding opportunities for Safe Routes to Schools projects and Priority Conservation Areas. FIGURE 4.2 Distribution formula for OBAG 2 County Program. The five-year, $916 million One Bay Area Grant (OBAG 2) program is the second cycle of funding integrating the Bay Area’s federal transportation program with California’s climate laws and the regional Sustainable Communities Strategy. OBAG 2 will fund projects from 2017–18 through 2021–22 and will support local transportation, housing, land use and environmental goals. OBAG 2 is divided into a County Program and a Regional Program. County Program funds are distributed based on factors such as population, past housing production and future housing commitments. FIGURE 4.3 Project selection results for the OBAG 1 program. The inaugural One Bay Area Grant (OBAG 1) program was adopted by MTC in 2012 to guide $818 million in federal funds over the five-year period from 2012–13 through 2016–17. Figure 4.3 provides a breakdown of all the funding programmed during the grant cycle. As can be seen, OBAG funds supported a variety of regional needs such as transit (including Clipper), highways and roadways, Safe Routes to School, and bicycle and pedestrian planning, as well as planning activities, climate initiatives and conservation. Transportation Demand Management Strategies, including bicycle and pedestrian networks, transit, targeted transportation alternatives, trip caps, car sharing, vanpool incentives and commuter benefits ordinances. Alternative Fuel and Vehicle Strategies, including plug-in electric vehicle infrastructure and charging stations; incentives for plug-in vehicles, especially for lower- and moderate-income households; promotion of emission reduction technology; and marketing and education efforts. Additionally, the plan includes carpooling incentives — including private sector ride-matching applications that target utilization of express lane corridors — free bridge tolls, first/last mile solutions to transit and other strategies. Together, these strategies incorporate emerging trends and technological advances to efficiently reduce CO2 emissions and provide more equitable and affordable travel options for all Bay Area residents. Plan Bay Area 2040 directs $526 million to the regional Climate Initiatives Program, $56 million for incentivizing higher levels of carpooling and $212 million for county-sponsored greenhouse gas reduction initiatives. For more information on how travel demand is modeled in Plan Bay Area 2040, please see the Travel Modeling Report. Plan Bay Area 2040 includes a nearly $70 billion “Equity Roadmap” that makes major investments toward bus operations ($62 billion); increases in bus service and other improvements ($5 billion); county access initiatives ($1 billion); and lifeline, mobility management and means-based fare programs ($900 million). The investment strategy funds existing bus operations as well as significant increases in bus service through 2040 at a higher annual rate than the original Plan Bay Area. Several of the region’s operators, including AC Transit, VTA and others, have increased service since the previous plan was adopted. Plan Bay Area 2040 directs $800 million to the Lifeline Transportation Program, which will fund priority projects identified by residents in MTC’s Communities of Concern. The Lifeline Program implements locally crafted Community-Based Transportation Plans, which MTC also funds, and can include community shuttles, transit services, streetscape improvements and bus stop amenities. Additionally, the investment strategy directs $90 million for a future mobility management program. Through partnerships with transportation service providers, mobility management enables communities to monitor transportation needs and to link individuals to appropriate, cost-efficient travel options. This strategy is especially key to the region’s ability to address growth in the Bay Area’s population of seniors and persons with disabilities. County programs will contribute $300 million to similar initiatives, such as an affordable-fare program in San Francisco, a low-income school bus program in Contra Costa County and expanded late-night transportation operations for workers traveling from San Francisco. Counties will invest another $700 million in expanding paratransit services that directly benefit persons with disabilities, many of whom are also seniors. 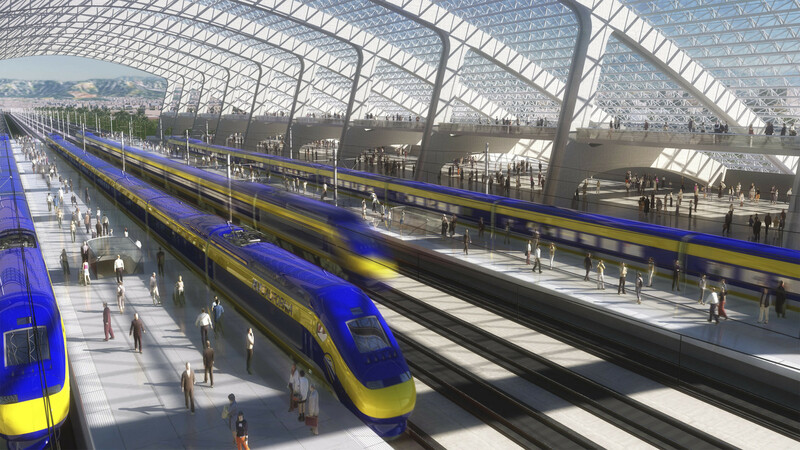 High-speed rail will provide faster connections between the Bay Area, the Central Valley and Southern California. The remaining 10 percent of funding is directed toward a set of transit extensions and roadway expansions. The BART extension to San Jose and Santa Clara, as well as the Caltrain Downtown San Francisco Extension, for example, will provide new rail links to the hearts of the Bay Area’s two largest cities. These projects are top regional priorities for Federal New Starts funding over the next five years. This category also includes VTA’s planned light rail extensions for the Capitol Expressway and Vasona lines, SMART extensions to Larkspur and Windsor, and a $640 million reserve for future New Starts priorities. The largest transit expansion project in this category is the Bay Area segment of California High-Speed Rail, with a price tag of over $8 billion for the Bay Area alone. Also in this category are select roadway expansions along highways and arterials throughout the region, the largest being new express lanes along U.S. 101 from San Francisco to Morgan Hill in the South Bay. This project is expected to reduce congestion and to increase commuters’ choices along several of the most congested freeway segments in the Bay Area. A sum of all investments that would significantly increase transit capacity in core locations is in Table 4.8. TABLE 4.8 Plan Bay Area 2040 core capacity projects. Plan Bay Area 2040 invests almost $24 billion – 10 percent of its funding and 15 percent of discretionary funding – to increasing transit capacity throughout the region’s core by connecting jobs and people between San Francisco and Silicon Valley via transit expansion and modernization projects. Several of these projects are key to the implementation of MTC’s Core Capacity Transit Study, a collaboration of MTC and five of the region’s major transit operators. The study identifies short-, mid- and long-term strategies to relieve the transit capacity and reliability challenges facing travel to and from San Francisco's employment core. As previously described, the plan's land use and transportation pattern is required by law to achieve two things by 2040: a reduction in per-capita CO2 emissions from passenger vehicles and adequate housing for the Bay Area’s expected population growth. Plan Bay Area 2040 successfully achieves both of these targets. How does Plan Bay Area 2040 do at meeting the rest of the voluntary, aggressive and aspirational performance targets adopted by MTC and ABAG? As seen in Table 4.9, of the 13 total adopted performance measures, Plan Bay Area 2040 achieves five targets, including the two mandatory targets. Plan Bay Area 2040 makes progress on another four but is unfortunately moving in the wrong direction on four performance targets. TABLE 4.9 Results of Plan Bay Area 2040 target assessment. For more information about Plan Bay Area 2040’s performance, please see the Performance Assessment Report. On the environment front, Plan Bay Area 2040 is particularly successful at protecting the climate and preserving open space and agricultural lands. Plan Bay Area 2040’s per-capita CO2 emissions reductions meet and exceed the Senate Bill 375 target for year 2035 thanks in part to robust funding of the Climate Initiatives Program. Similarly, Plan Bay Area 2040 protects thousands of acres of land from development and fully achieves its ambitious open space and agricultural preservation target. However, Plan Bay Area 2040’s “Fix It First” emphasis means that only 10 percent of the plan’s investments are directed toward expanding capacity-constrained freeways and transit lines. This resulted in limited performance improvements for travel mode shift and public health. On the economy front, Plan Bay Area 2040 maintains middle-wage jobs, improves goods movement and reduces congestion. Unfortunately, financial constraints lead to challenges in attaining all of Plan Bay Area 2040’s transportation targets, including maintenance and modernization of the region’s aging transportation infrastructure and improving access to jobs. 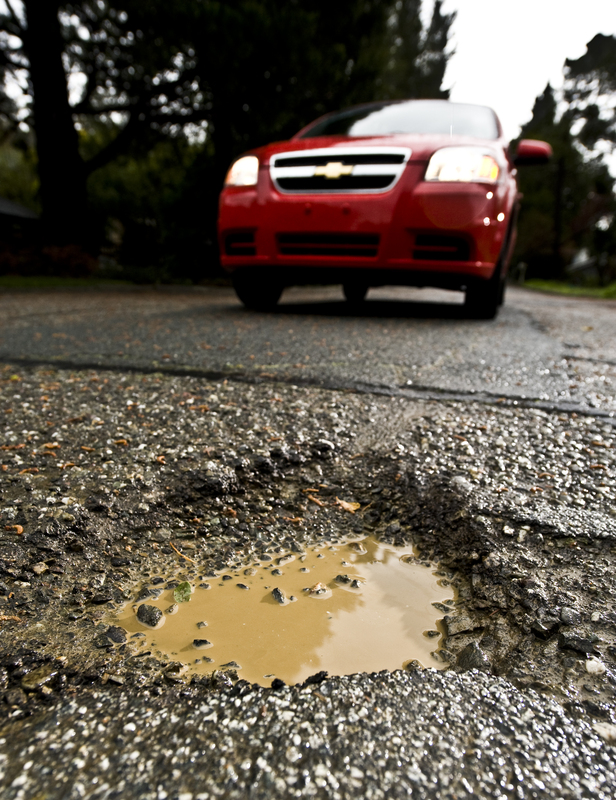 Without additional funding, the Bay Area will be unable to achieve an ideal state of good repair by year 2040, particularly for pavement conditions on streets, roads and highways. Finally, regional affordability and equity challenges, including displacement risks, are expected to worsen by 2040 despite the inclusion of a range of aggressive assumptions about affordable housing subsidy strategies. Without new funding sources to construct significant numbers of affordable housing units, Plan Bay Area 2040 is only slightly growing the existing share of affordable housing in PDAs or transit-rich, high-opportunity communities, rather than doubling it per the adopted target. While Plan Bay Area 2040 performs better than any other transportation and land use scenario previously evaluated for displacement risk – notably reducing the number of at-risk households by 89,000 compared to the “No Project” conditions described below – it still results in elevated risk levels compared to year 2010. Increases in displacement risk are forecast to be significantly greater outside Communities of Concern in Plan Bay Area 2040. MTC and ABAG conducted a detailed analysis at multiple stages of the plan development process to ensure that policies and projects included in Plan Bay Area 2040 benefit disadvantaged populations, including low-income and minority populations, at the same level, or better, than non-disadvantaged populations. The equity analysis includes both the federally-required disparate impact and non-discriminatory (Title VI) and environmental justice analyses, as well as an overall performance analysis based on equity measures adopted by MTC in January 2016 (Resolution 4217). Collect accurate and current data essential to defining and understanding the presence and extent of inequities, if any, in transportation funding based on race and income. In spring 2015, MTC and ABAG formed the Regional Equity Working Group (REWG) to advise staff on the equity analysis’s development, including identifying equity measures, defining communities of concern and developing the methodology for assessment. The REWG brought together stakeholders from around the Bay Area representing low-income and minority communities; seniors and persons with disabilities; staff representing local jurisdictions, transit agencies and county congestion management agencies (CMAs); public health departments; and community-based organizations and advocacy groups. All REWG meetings were open to the public. For more information, please see the Plan Bay Area 2040 Equity Analysis Report. Plan Bay Area 2040’s performance on housing and transportation affordability is particularly disconcerting, as shown in Table 4.10. For lower-income households, housing and transportation costs as a share of income go from 54 percent of household income in 2005 to 67 percent of household income in 2040. This performance is far off-trajectory compared to Plan Bay Area 2040’s stated goals. TABLE 4.10 Ranking of Plan Bay Area 2040 performance against targets. All this said, Plan Bay Area 2040’s performance along key measures remains significantly better than a potential future with “No Project” - that is, a future without Plan Bay Area 2040’s recommended land use and transportation strategies. In particular, under a “No Project” alternative the Bay Area would see higher levels of per-capita CO2 emissions, more loss of open space and agricultural lands, greater levels of displacement, more delay in the freight network, even higher housing and transportation costs, and much higher levels of transportation operating and maintenance costs due to deteriorating transportation asset conditions. It is important to emphasize once again that these targets were quite aggressive, and it is therefore not surprising that Plan Bay Area 2040 falls short on meeting some of the adopted performance targets. As seen in the preceding section, the Bay Area has significantly more regional resources and tools available to address its transportation needs compared to its housing needs. To truly address affordability and equity challenges, an engaged public and government at all levels will need to act. In particular, the Bay Area will need more aggressive policies and significantly more funding to deal with the housing crisis, as described in the next section, Action Plan.